One of the most important things that I have learned about homeschooling is that it doesn't have to look like "school at home." While this concept includes the traditional learning style of textbooks and notebook paper and the 8:00AM to 3:00PM mentality, I have found that it also reaches much deeper than that. It also includes the yearly homeschool schedule. Instead of 36 weeks of the year to complete school, we have 52 weeks. This allows for a day off here and there for whatever reason without having to stress about it. Our school fits around our life instead of our life being shaped by school. Homeschooling year round allows for more breaks during times when we want a break. 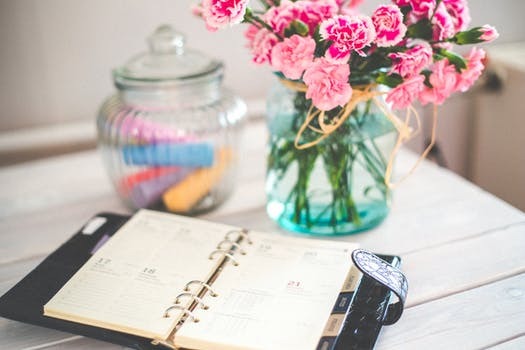 We choose not to take a long summer break, but instead take more frequent breaks throughout the year. We typically take a long break between Thanksgiving and Christmas to enjoy extra activities and to focus on the meaning of the holiday season. And in the Spring when the weather is nice, we take more time off then as well. We also greatly enjoy off-season vacations when the rates and crowds are lower. 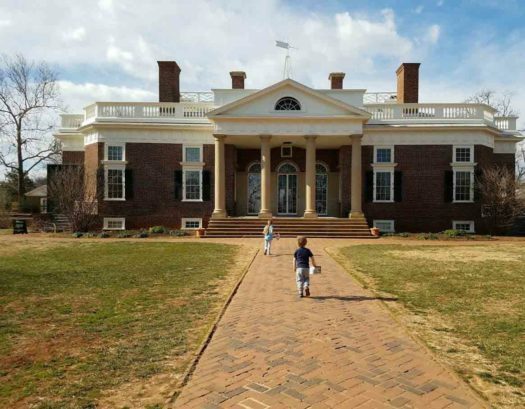 Our day at Monticello early this Spring. Almost no one else was there! To Make Learning a Lifestyle. I grew up in a typical public school setting (as most children do) where school begins in the fall and ends at the beginning of summer. But as I teach my own children, I have discovered that I want them to think of school as more than just a fall to summer occurrence. I don't want them to be trained to take a vacation from learning. I want them to enjoy learning and not see it as a task to be completed. I want my children to view learning as a lifestyle. Do you homeschool year-round? How does it work for your family? Please leave me a comment below. I would love to hear from you! We do year-round homeschooling as well… and we love it! We have a 4 day week and do a six weeks on / one week off schedule. I love it! The flexibility is awesome AND we can do some great seasonal work by homeschooling through the summer. Thanks for sharing. I’m pinning this to my homeschooling board. Thanks for your comment, Jennifer. You really can’t beat the flexibility of year-round homeschooling. And I love the schedule you follow! We do 4 day weeks sometimes, and I think they work really well. Thank you for pinning this. I Hope you have a great day too! Oh I couldn’t agree more! When we started homeschooling I tried to mimic the public school system. Then I woke up and asked myself,what was I doing that for? We homeschool partly because we want the freedom that public school doesn’t allow. We also homeschool year round now and take off when we need to. We don’t really have a yearly schedule either. I recently had a baby and an addition put on our house and we haven’t been in our “normal” routine. But it’s been so great that I can take off when we really need to. I love also that my children haven’t stopped learning. They are always initiating projects and learning on their own even in the midst of this crazy season. Thanks for the encouragement and confirmation that we are not alone in this and that learning is a life style. 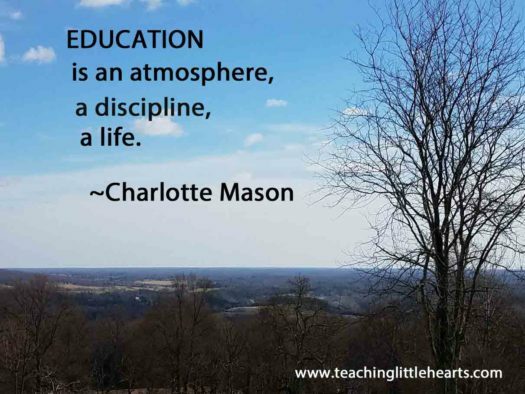 I love the Charlotte Mason quote!